Lights on Africa Destinations is a Tours & Safari Company in Tanzania, we specialize in programs offering comfortable lodges Safaris set on scenic sites and permanent Tented Camps for those who prefer luxury. We also organize Budget Camping Safaris for individuals and groups, Students Packages, Honeymooners Packages, Mt. Kilimanjaro Climbing and Zanzibar Beach Holiday. combined with their leadership qualities and enthusiasm for work, we will provide you with an unforgettable safari. Having said this, I invite you to travel with us and experience the most pleasing and memorable adventure in Tanzania. Here are some few facts of our operations The drivers, who are also the tour guides during safaris, ensure that the guests are comfortable and looked after during the safari and visits as well as share their wide knowledge about the flora and fauna of Tanzania. Our own mechanics do all the necessary service and adjustments on the vehicles before and after the safari to ensure your safety and comfort. Highly Experienced Staff – Our staff are local people, they have born and raised in Tanzania, who have a wealth of knowledge about Tanzania, the culture and the wildlife. All of our guides are qualified in their chosen field and attend in-house training in Customer Service and English. Whether your group is large or small, we have experienced guides to go well with your activity and circumstances. Unlimited Game Safari Mileage – Our drivers are NOT limited in mileage or fuel consumption! On your safari your driver has the freedom to go wherever the animals are, ensuring you get the most out of your holiday. Committed to Responsible Tourism – We feel strongly about caring for the local environment and the local people. We strive to minimize any disruption to the wildlife and the natural flora during our safaris. We encourage all staff and clients to be respectful of their surroundings. We are committed to staff training in any area which may enhance their development. 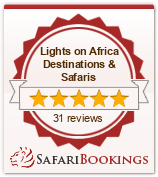 We are also presented on SafariBiookings (https://www.safaribookings.com/p1986) THE online resource for planning a safari. SafariBookings holds its offices in the Netherlands, Europe.